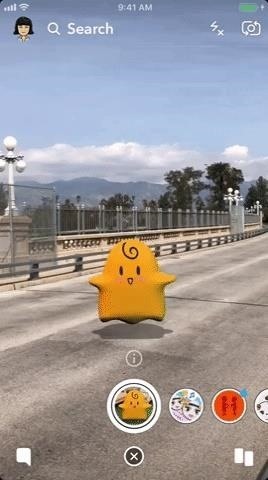 Snapchat is making it easier for developers and creators to build augmented reality effects in Lens Studio with a slew of new features, including seven face templates. 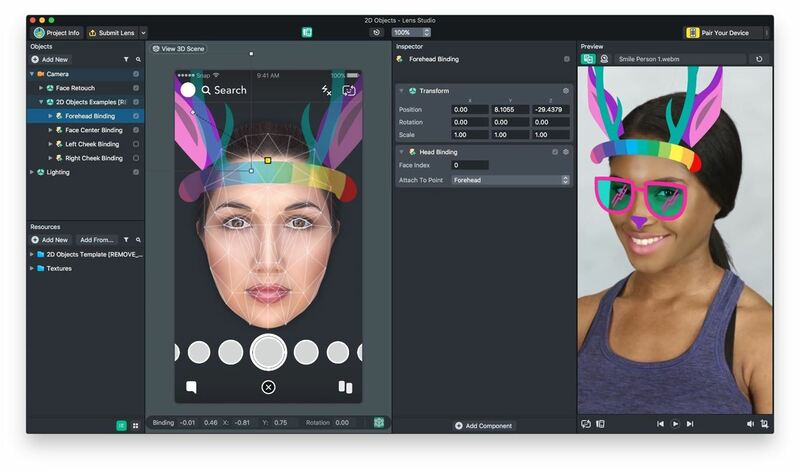 The new templates, available starting Tuesday, include Face Paint, Photo, Distort, Trigger, 2D Objects, 3D Objects, and Baseball Cap, with video overviews for each template uploaded to Snapchat's YouTube channel for Lens Studio. 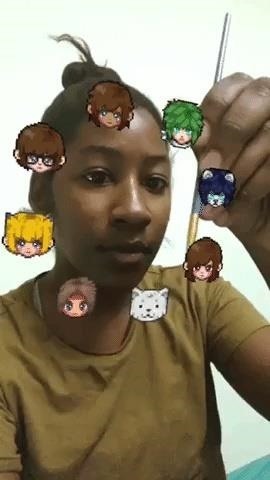 Each template name more or less describes what it does. 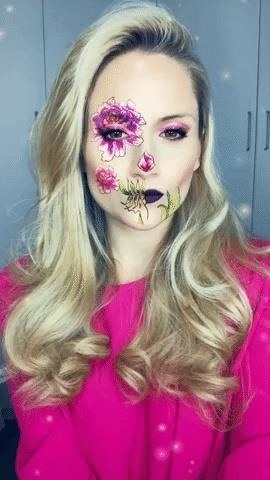 Face Paint and Photo both substitute facial features with a digital overlay, with the former displaying art that mimics makeup and the latter mapping an image to the user's face. 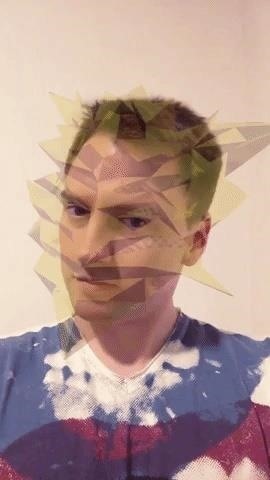 Distort lets developers create the funhouse mirror-style Lenses that morph a user's face. 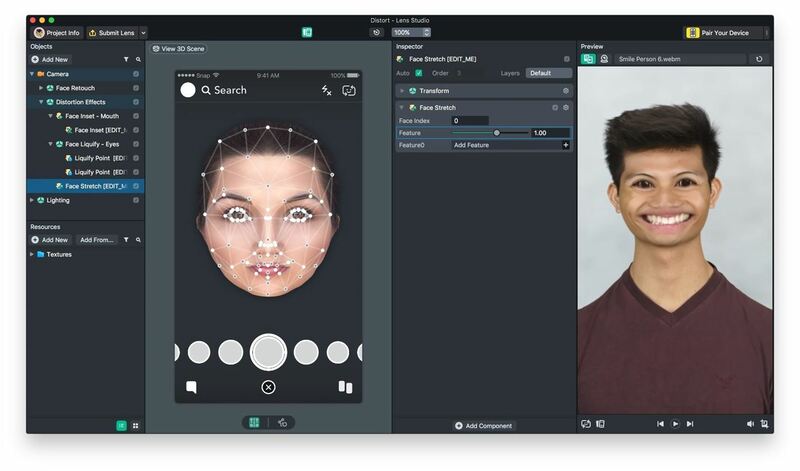 Trigger uses facial movements of the eyebrows, eyes, or mouth to activate a 3D experience. 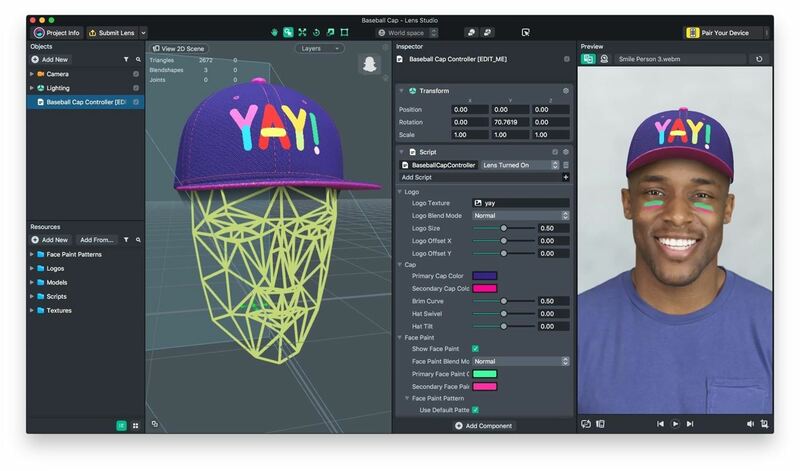 The 2D and 3D Objects templates attach images or objects to the user's face. Finally, Baseball Cap places a customized hat on the user's head. 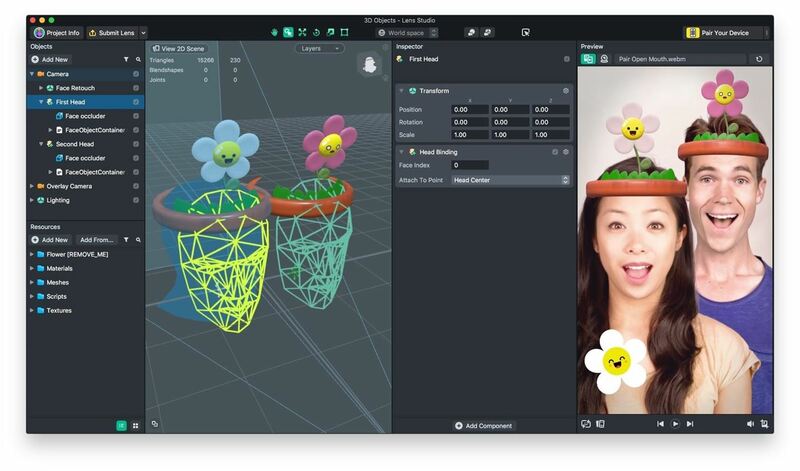 Along with the templates, Lens Studio will gain Giphy integration, which will allow developers and creators to access a library full of animated stickers for their Lenses. The company is also taking steps to make creations more discoverable and foster a community around its Lens Studio platform. 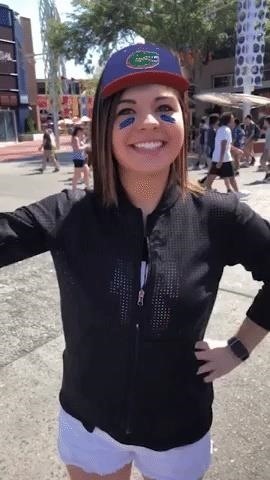 Photos and video captured for Our Story posts will be curated for a Lens Studio-focused Story in the Discover section of the app, where viewers can swipe up to unlock the Lenses for their own use. Meanwhile, the "More Lenses" button (denoted by an "i" above Lens Studio creations in the carousel) gives users access to more content from the creator community. In addition, the Official Creator Program will shine a spotlight on its more prolific creators, giving them visibility on the Lens Studio website and more direct access to the support team. Developers can sign up for consideration in the program via a link in the Creators section of the site. In terms of adoption, the platform has attained some lofty results to date. 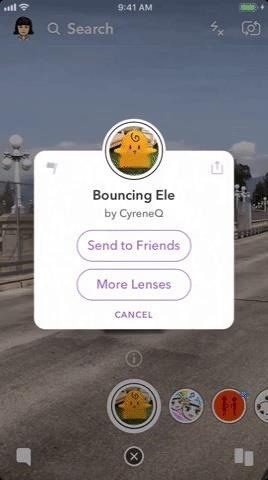 In a blog post published alongside the update, Snapchat revealed that 30,000 Lenses have been submitted by creators worldwide since the Lens Studio launch in December 2017. 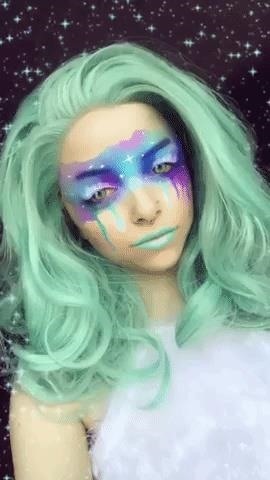 To date, Lens Studio submissions have tallied more than one billion views and more than 2 million hours of playtime, according to Snap Inc.